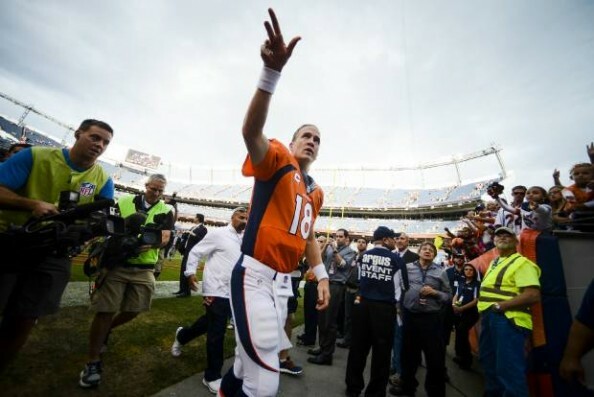 It seems that every game is simply another opportunity for the Denver Broncos and Peyton Manning to set more personal, franchise and NFL records, as the best team in football is still waiting for a team to make it slightly difficult this season. The Philadelphia Eagles, as expected, weren’t it. The Broncos came out with a 52-20 win; Peyton Manning threw four touchdown passes an no interceptions, while the Broncos got two more touchdowns from their special teams, as Trindon Holliday returned a kickoff 105 yards for a touchdown and a blocked punt by Steven Johnson was picked up by him, turning it into another 7 points for the home side. As for the Eagles – no turnovers, and they still weren’t anywhere near the Broncos. It begins with the difference in quarterbacks, which all the special offensive schemes won’t be able to erase, and having a defense that can’t get any stop, as the Broncos were forced to punt only twice in the game, converting 62.5% of their third down situations, which even themselves were pretty rare. It beings and ends with Peyton Manning, who has now thrown 16 touchdown passes with no interceptions, and not making mistakes. He was off-target on just two throws, making it only 14 passes through the first four games that Manning wasn’t on the money in terms of targeting system. He was especially efficient in the second half, completing 15-of-16 passes for 158 yards, three touchdowns and 12 first downs. The Eagles did try and mix it up with some added pressure or laying off him, but nothing helped. Manning completed all six of his pass attempts for 59 yards and two touchdowns against added pressure, and the standard pressure didn’t do much better, making it very easy for Manning to keep posting big numbers through Wes Welker, Demaryius Thomas and Eric Decker. 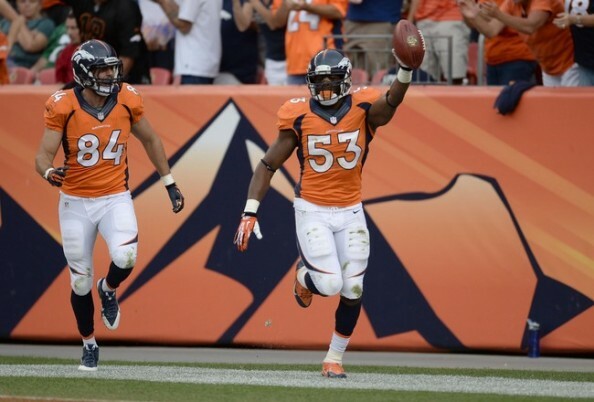 Welker and Thomas each caught two passes for touchdowns; Decker led the team with 5 receptions for 88 yards. Broncos’ receivers are averaging 179.5 yards after catch per game this season. No team has finished a season averaging more than 162.0 yards after catch per game since the start of 2006. All three finished with at least five receptions for 76 yards, all this with Manning throwing for shorter distances than ever before, averaging only 7.9 yards of throwing distance. All this offense, which also includes 141 rushing yards and Knowshon Moreno running for 78 yards and a touchdown, resulted in 52 points, the most ever for the Broncos, and also the most points the Eagles allowed since Nov. 26, 1972. No one has also thrown 16 touchdown passes through four games, Manning breaking the 14-touchdown mark, last set by Kurt Warner in 1999. We’re a quarter into it, I’m one of those guys who would probably be understated and overproduce. We’re not anywhere near done with our body of work, we’re only a quarter of the way into it. I’m pleased with where we are, truth be told you can’t be any better than 4-0 after four games, so we’ll try to continue to prepare and do the things necessary to get ready for each week, including Dallas this week. Some say the Brocnos are too good to be true right now, but it’s hard to hide the numbers and the facts. In almost every aspect, the Broncos are extremely impressive. Peyton Manning has an offensive line that won’t let anyone get to him; a receiving crew that easily picks up yards after the catch; and a strong defense even without Von Miller. Maybe everything that’s clicking for them right now is going to wither slowly, but right now it’s hard thinking of anyone better than them in the NFL.